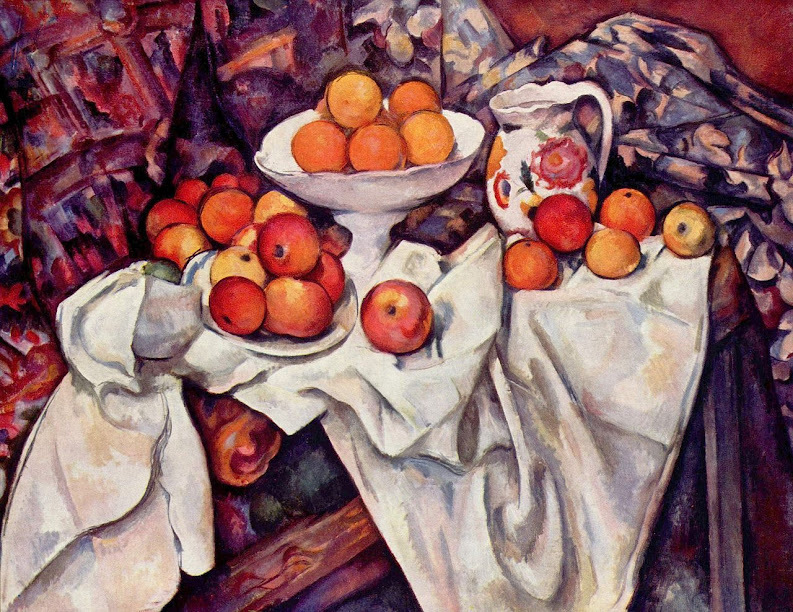 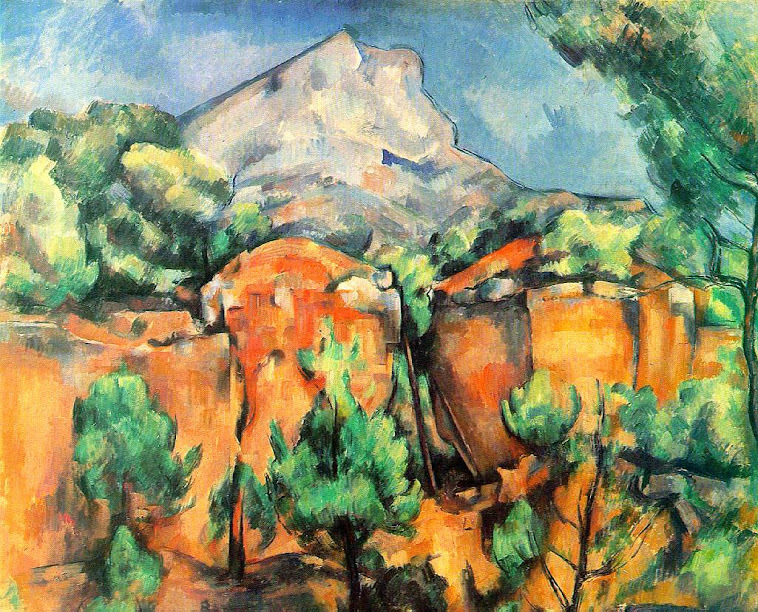 Even though Cézanne’s painting project was very different from Picasso’s, Cubist painters including Braque, Metzinger and Picasso himself all said that Cézanne’s work profoundly influenced them. 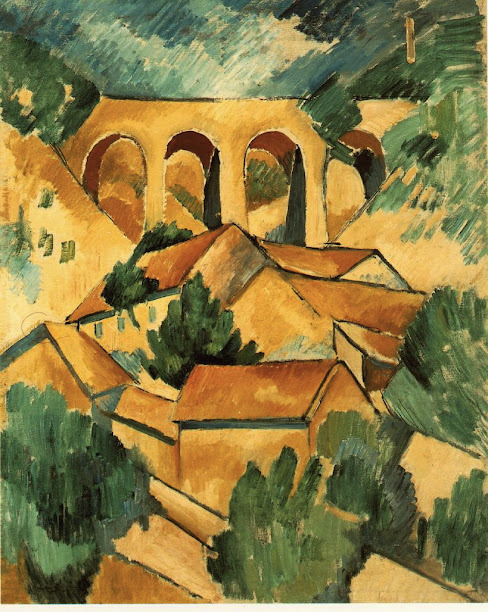 In fact, the painting that gave Cubism its name is directly connected to Cézanne, first through its title, as Cézanne often painted the small village called L’Estaque in the south of France, and then through its lines and colors, which strongly evoke Cézanne’s work. 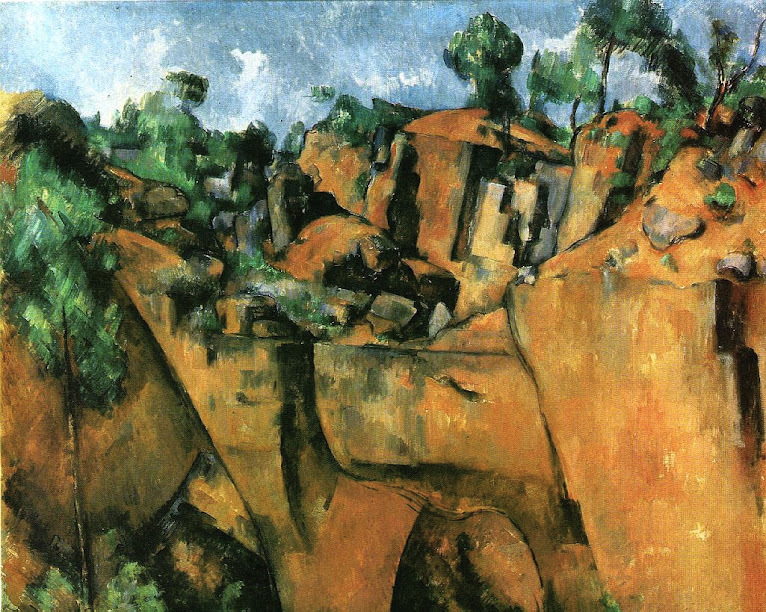 The Cubist painters saw two key elements in Cézanne’s work, especially in his late paintings, which influenced them the most. 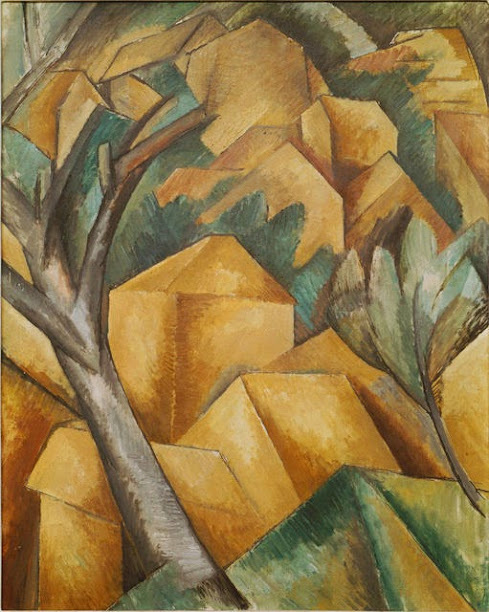 Even though Cézanne was mainly trying to create volume through color planes, the Cubists saw in Cézanne a tendency to represent nature with geometric shapes, which is central to the early development of Cubism. 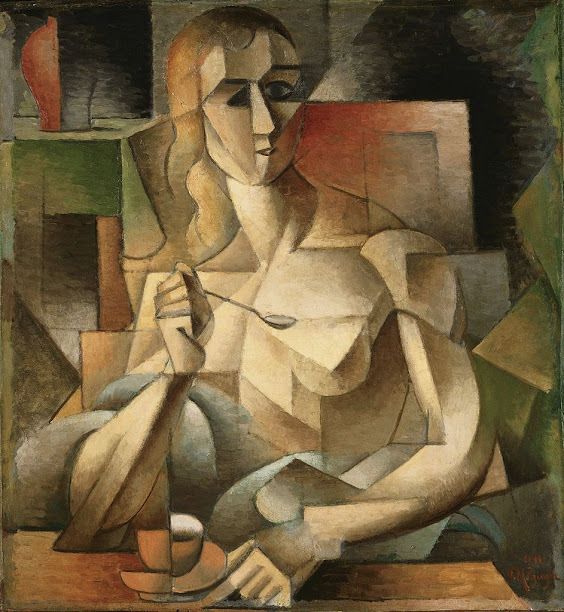 The second element is perspective. 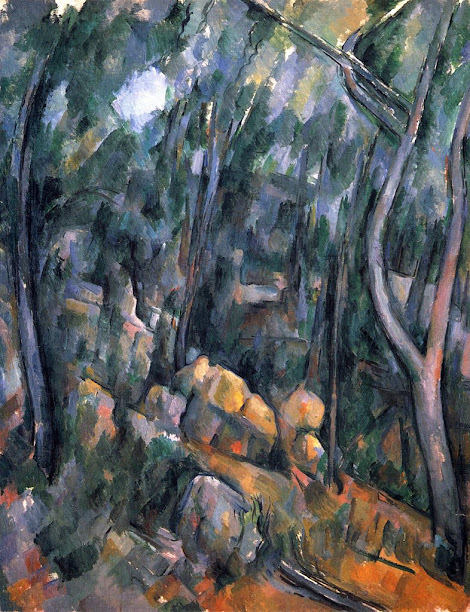 In many paintings by Cézanne, it looks as if each object has its own independent space with its own point of view, which goes against the traditional single-point-of-view linear perspective introduced in the Renaissance. 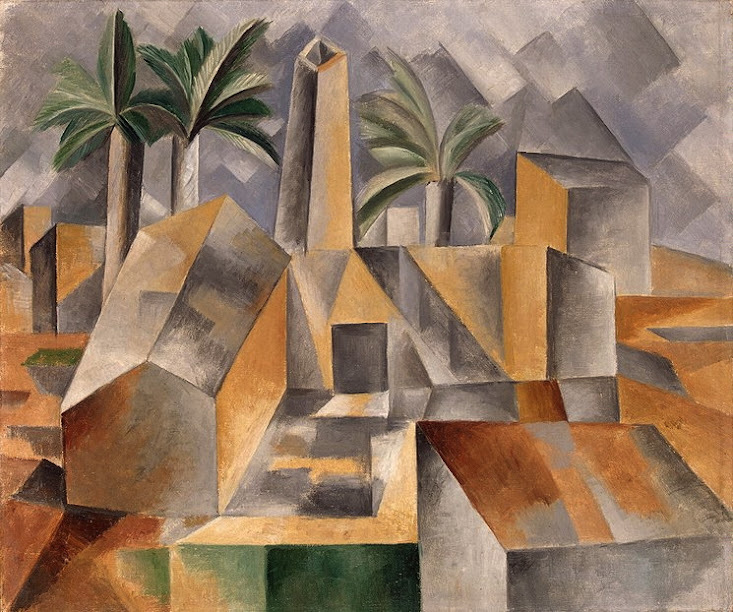 The development of Cubism was also inspired by other art forms, such as Cycladic art and African art, but Cézanne played a key role for Cubist painters, despite major differences in their approach to nature and painting. 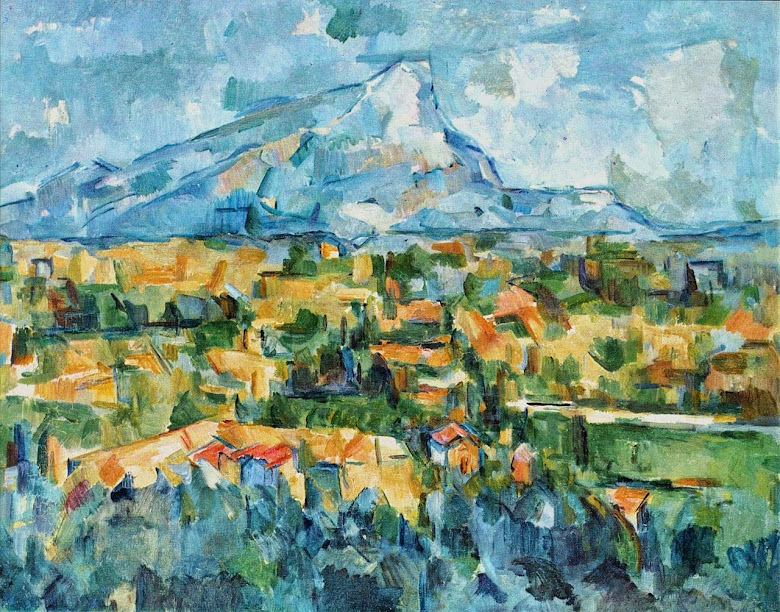 Actually, Cézanne’s work was so influential that he has not only been called a father of Cubism, but also a father of modern art itself.